White tea benefits have been creating a buzz of late as many tea observers have claimed that it possesses more health benefits than the better-known green tea, the only other type of tea that does not undergo oxidation and fermentation. That claim may indeed have some basis as white tea comes from the uncured, unprocessed and unfermented leaves of the camellia sinensis plant. 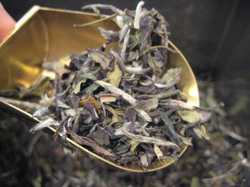 White tea is fast-dried while green tea is roasted in a pan. The fast-drying process traps a great deal of antioxidants in the leaves of the white tea, thereby potentially making white tea the “supreme” health drink. White tea gets its designation from the fine, silvery white hairs found in the unopened buds of the camellia sinensis plant. White tea leaves have a striking appearance. Largely produced in China and deeply revered during the Song Dynasty that flourished from the 900s to the 1200s, white tea possesses a light, delicate, slightly sweet flavor that sharpens the senses without overwhelming the tongue. White tea may have lower levels of caffeine than green tea. White Tea may help prevent heart ailments. It may fight stroke by reducing the accumulation of cholesterol in the bloodstream. This drink may also lower blood pressure and improve the function of the arteries. White Tea may help fight cancer by attacking the free radicals that inflict damage in the cellular level. It may help promote strong bones. It contains high amounts of anti-bacterial and anti-viral agents thereby promoting general well-being. It may help promote healthy teeth and gums. This drink helps in protecting the skin from damage and may even reverse some of the damage wrought by free radicals. White Tea may reduce blood sugar and help alleviate the symptoms of diabetes.